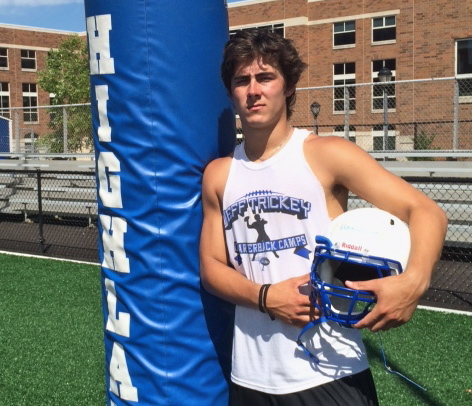 Player to watch: Senior QB Austin Hergott will lead the Highland’s offense on Friday night against the Tigers. The 6-foot-4, 220-pound is committed to Central Michigan for next season. This is the fourth consecutive year that Highlands will have a new quarterback in the starting lineup. Hergott threw 3 touchdowns in a 48-24 loss to Ryle last week. Season vibe: The Bluebirds have started out the season on a bit of a rough patch. The Bluebirds have lost to Cooper, Scott County and Ryle. Like Central, this is a chance for Highlands to try and rebound from a tough start to a season against a good team. The Tigers will be in for a fight Friday night. Posted on September 15, 2015, in Tiger Football. Bookmark the permalink. Leave a comment.